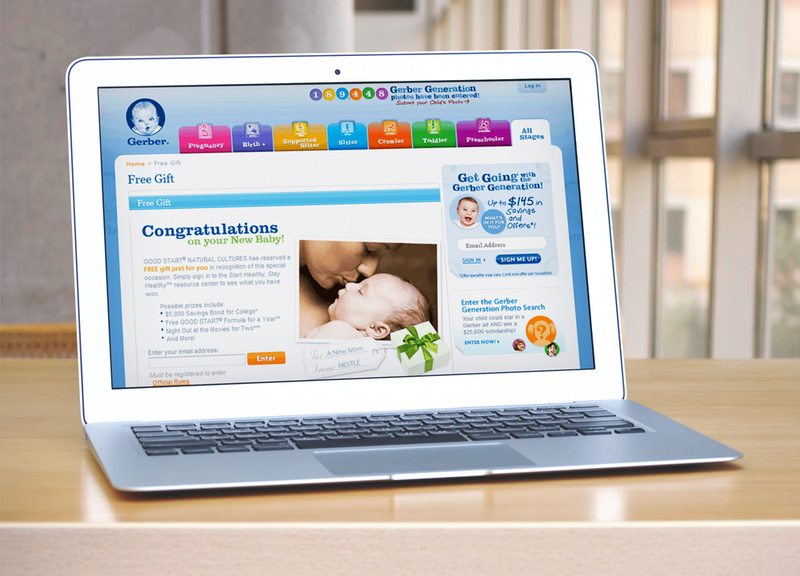 The Gerber® name has long been synonymous with expertise in infant care. Knowing that moms are brand loyal when it comes to their baby's first year of formula, Nestle provided a free sample in the "New Mommy" gift baskets distributed in hospitals and birthing centers nationwide. 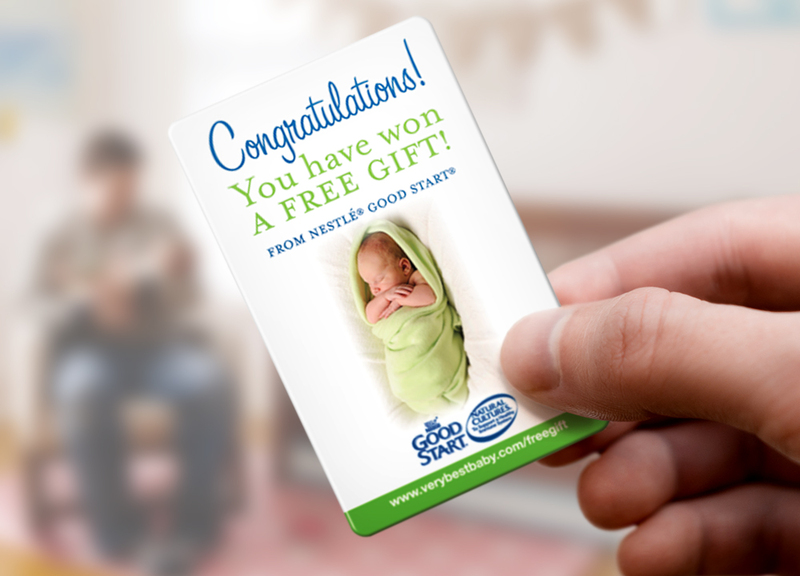 They chose to team the free samples with custom branded Photo Print Cards redeemable for 25 FREE Photo Prints printed directly on specially marked packages of Gerber® baby formula. As further incentive for repeat purchases, each new can of formula also included a sweepstakes entry to win a grand prize of a $25,000 College Scholarship. Providing the gift of Photo Prints, as well as a compelling sweepstakes helped Nestle develop brand loyalty among new mothers.